Here are summaries of ethics opinions issued November 2016. 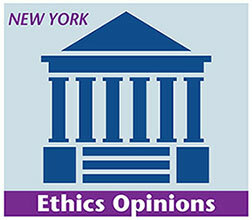 The opinions were issued by the NYSBA Committee on Professional Ethics. 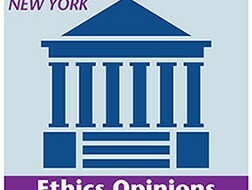 NYLER will continue to provide updates on new ethics opinions issued by these and other ethics committees in New York State. Opinion 1109 addressed whether a lawyer could transmit settlement funds to a client by way of a pre-paid debit card as opposed to a check. 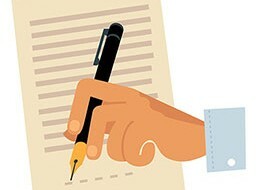 The Opinion responded to an inquiry from a lawyer who sought to offer clients, many of whom did not have a regular banking or checking accounts, an alternative to receiving a check where the client would then be required to pay a fee to a check-cashing service before receiving the settlement funds. The Opinion concluded that the use of a pre-paid debit card for this purpose did not violate the Rules provided that the lawyer obtained the client’s informed consent. The Opinion reasoned that Rule 1.15(c)(4)’s requirement that a lawyer promptly pay funds owed to the client “as requested by the client” means that the lawyer must “seek the client’s consent before using a pre-paid debit card to do so, as the inquirer intends to do.” Additionally, the Opinion reasoned, “Rules 1.4(a)(1)(i) & 1.4 (a)(2), and Rule 1.4(b) — each concerned with communicating with the client about matters material to the representation … obligate the lawyer to explain to the client, in the words of Rule 1.0(j), ‘the material risks of the proposed course of action and reasonably available alternatives.’” Finally, the Opinion noted that Rule 1.15(e) requires that all “special account withdrawals shall be made only to a named payee and not to cash. Such withdrawals shall be made by check or, with the prior written approval of the party, by bank transfer.” As a result, the Opinion reasoned, the lawyer must ensure that the pre-paid debit card issuer will accept payment from the lawyer by check or bank transfer and, if the latter, that the client approves the wire transfer in writing.